2009 marks the silver anniversary of the Fuel Ethanol Workshop, the industry’s largest and most widely attended expo and educational event. 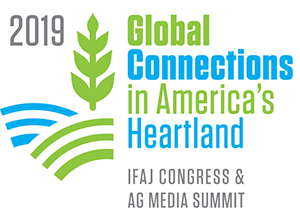 With the economy in mind, the 2009 International Fuel Ethanol Workshop & Expo has joined with the 2009 International Distillers Grains Conference & Trade Show and the Advanced Biofuels Workshop, to give industry professionals the ability to attend all three shows in one trip. In addition, FEW is offering a special deal for all existing and under construction ethanol plants to send two members of their team for free. All three events will be held at the Colorado Convention Center in Denver, with the Distillers Grains Conference kicking it off on June 14-15. The Advance Biofuels Workshop will be held on June 15 and the 2009 FEW on June 15-18. Registration information and details for all three events, which are all organized by BBI International, can be found on-line here.